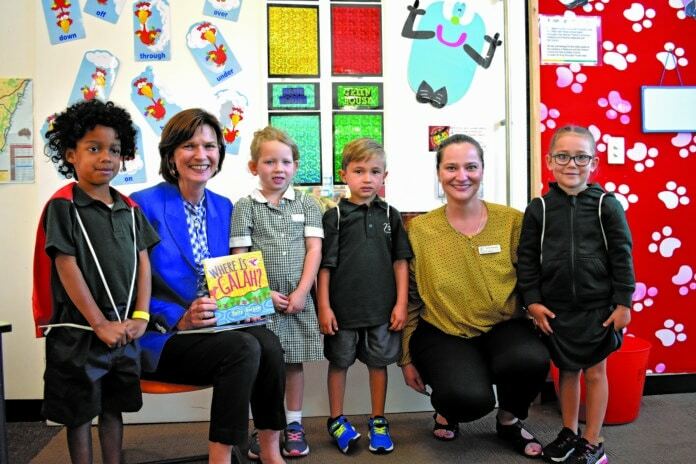 NEW prep students across the state will soon receive free books as part of Labor’s election commitment to lift literacy and numeracy outcomes. Member for Macedon Mary-Anne Thomas visited Riddells Creek Primary School’s preps on their very first day to deliver the books and bags. The bags include a range of expert-selected books and a copy of the new booklet Literacy and Numeracy Tips to Help Your Child Every Day. Riddells Creek PS principal Emma Brooksby said the books will help with the extension and consolidation of students’ reading skills. “I think it’s important children have quality books at home so for us, the fact that every child in Victoria gets it and we know they have access to quality literature they can engage with at home with an adult for free, that’s amazing,” she said. “We haven’t handed them out yet and parents have already asked when they’re getting their packs. Ms Thomas said providing quality literature is about engaging both children and adults. “Quality literature, quality picture books that will really engage children and their parents because parents are partners in children learning to read,” she said.